These are foot inserts to help with pressure reduction and redistribution. Many foot conditions are treated with orthoses. Foot orthoses are also used to help prevent injury, pain and discomfort. Diabetes can affect the blood flow and nerve sensation to your feet. An annual foot screening may prevent problems from arising or minimize the damage. Children can have varying foot troubles, from an in-toeing gait to growing pains, every child and their development is different. Common complaints include: fallen arches, tip toe walking, knock-knees, limping. A new technology available to help treat inflammation commonly utilized for heel pain. Shockwave therapy helps with initiating a healing response. This is used in conjunction with other treatment options. General foot care includes the diagnosis and treatment of corns, calluses, warts, toe nails, heel fissures and tinea pedis. 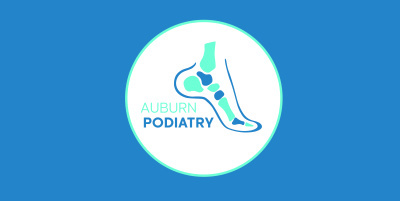 Come in today and meet with one of our remarkable Podiatrists. Michelle Fallone is a Masters in Podiatric Medicine graduate. Michelle has previously worked as a registered nurse for 14 years prior to training as a Podiatrist. Michelle’s career has seen her work in some of Australia’s most rural and remote communities. Michelle’s special interests include the diabetic foot, wound care and rheumatology. Sarah studied a Bachelor of Health Science at the University of Sydney prior to completing her Masters in Podiatric Medicine at Western Sydney University. 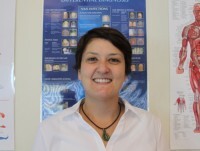 Sarah’s interests include musculoskeletal injuries, lower limb biomechanics and children’s foot problems.